Anyone who files medical insurance claims, checks their credit score, or periodically applies for a credit card has seen two-digit reason codes. Particularly if a credit card application or insurance claim was denied. Reason codes describe the rationale behind the denial. In the payments industry, each credit card network has its own unique set of chargeback reason codes. The numeric codes differ by card network, but the categories are very similar. All serve the same purpose: to describe why a transaction that was already processed and cleared was charged back to the merchant. Chargebacks cost merchants in lost revenue, increased costs via chargeback fees (in the range of $15 to $100 each), and lost time having to gather and present evidence to dispute chargebacks. Any wonder merchants want to prevent chargebacks if possible? By reviewing reason codes of chargebacks received from Visa and Mastercard, merchants can begin to identify negative trends occurring in their businesses. Understanding those trends will help merchants identify weaknesses and develop business process improvements. Improved business processes based on careful analysis of chargeback reason codes can help high-risk merchants proactively prevent chargebacks in the future. 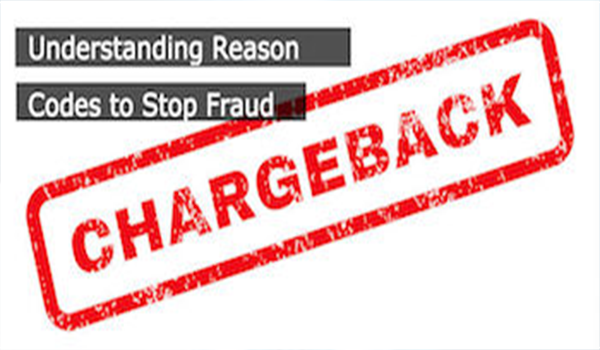 Chargeback experts at Chargebacks911.com suggest that merchants categorize chargebacks received into three main causes: merchant error, criminal fraud, and friendly fraud (aka chargeback fraud). Other payments experts may add to that list, but they all agree: FRAUD accounts for more than 50% of all chargebacks. Criminal fraud is just that, but accounts for only about 10% of merchant chargebacks. Stolen credit cards are used to purchase goods in person or online before they’re reported to the issuing bank. Modern online fraud detection technology works quite well. But without the right fraud preventioncapabilities in place, fraudulent transactions may ring the business death knell for online merchants. Friendly fraud isn’t friendly at all, and represents the vast majority of chargebacks. Some customers have legitimate complaints when they ask for their money back, but many do not. Buyer’s remorse may be at work, or customers simply decide to get something for nothing. Good record-keeping, and great communication before and after a purchase can help prevent such chargeback fraud. Chargebacks due to merchant errors (20% or more) are the easiest to combat. Review and strengthen your internal processes, especially those related to accepting and entering MOTO transactions and Dynamic Currency Conversion (DCC). Most reason codes deal with a single issue (though there may be multiple causes). But reason code 76 deals with multiple circumstances that don’t always appear similar. All the events deal with improper business practices like not complying with specific industry requirements, or attempting to deceive the customer, or both. Examples: Processing transactions with the wrong transaction code leads to chargebacks with reason code 76. So does using an incorrect currency code. And using Dynamic Currency Conversion (DCC) without informing the customer is a no-no leading to — you guessed it — chargebacks with reason code 76. So do several other circumstances. Good customer-friendly policies developed and implemented for your business will make a world of difference in your efforts to prevent chargebacks. Be sure your staff is well trained and keep good sales records so chargebacks can be easily matched to documentation of the original sale if you file a dispute. Online merchants often enjoy a widespread global customer base. Anyone from anywhere with a payment card and an Internet connection can buy your products or services. Why not make it easier for foreign customers to buy from you instead of the competition? Make it easy for your global customers to understand the actual purchase amount in a currency they recognize and understand intuitively using Dynamic Currency Conversion (DCC). Paying in their preferred currency is both simpler and more comfortable. Originally a currency conversion feature for face-to-face, card present transactions, customers using a foreign Visa or Mastercard are allowed to pay in their preferred currency. With the advent of Dynamic Currency Conversion (DCC) online, customers from other countries better understand the cost they’re about to charge because it’s converted into their home (or preferred other) currency. DCC is now available for ecommerce customers paying with their cards online. The ecommerce software on a website (from vendors like FEXCO and Moneris®) automatically recognizes eligible payment cards, and offers the choice of paying in the cardholder’s home currency through the DCC service. The converted currency amount will be displayed, and customers must explicitly “opt in” to complete a transaction using the currency conversion shown rather than the website’s “normal” currency (to prevent chargebacks with reason code 76). For online merchants, using DCC results in fewer chargebacks — as long as merchants do it properly. Your checkout solution must automatically display the correct prompts to the cardholder, and you must provide accurate information about the cost of using DCC. Also consider implementing a multi-lingual website. Fewer chargebacks boost your business results, and let you spend more time running your business, rather than dealing with payments. Across the U.S. credit card brands Mastercard, Visa, American Express, and Discover, 151 chargeback reason codes exist. Is it any wonder high-risk online merchants can sometimes get confused and fall behind in managing chargebacks well enough? If you need to prevent chargebacks more often and reduce your chargeback rate over time, then choose a payments provider who will help you do it. The right processor will work with you like a partner and help ensure you have the right chargeback reduction plan in place. Not only that, but they’ll work with you as a partner — Because if you are more successful, your processing partner is too.